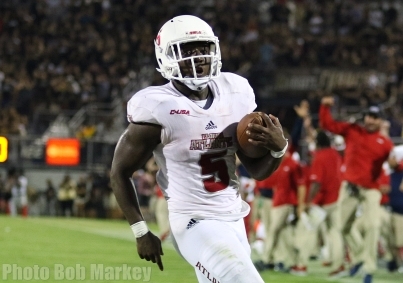 FAU Football fell in their final non-conference game, 56-36 to No. 16 UCF at Spectrum Stadium on Friday night. “First off, that’s a really good team,” said Head Coach Lane Kiffin of UCF." “The most important player is always your quarterback, and they’ve got a really good quarterback that makes a lot of really good decisions and makes a lot of out-of-rhythm plays." Another road contest is in store next for the Owls, the team’s 2018 Conference USA opener, against Middle Tennessee. The matchup emanates from Murfreesboro, Tennessee, on Saturday, Sept. 29 at 7 p.m.